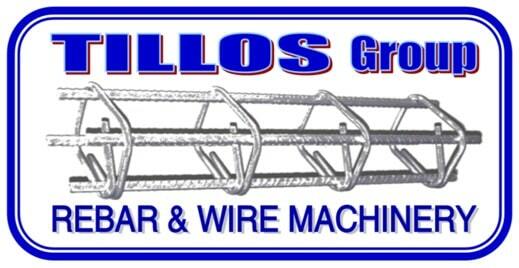 FOR OVER 30 YEARS TILLOS DESIGNS, DEVELOPS AND MANUFACTURES, STEEL WIRE AND REBAR MESH WELDING AND FORMING MACHINERY! He fully recognizes the importance of the feasibility in client’s production process.Feedback FROM THE CLIENT”S FROM ALL OVER THE WORLD, showed that feasibility greatly depends on speed.Being 100% client orientated, Tillos Group developed the fastest mesh welding machine in the world! TILLOS Group develops, designs, and manufactures the most sophisticated, tailor-made, machinery in the industry. We manufacture tailor-made machinery using, latest cutting edge technology, High-tech tools/instruments and our combined experience. Our team comprises mechanical engineers, material technologists, expert technicians, IT engineers and experienced development department. They continuously follow and implement all the latest industry developments laboring to deliver every time, top, cost-effective solutions. Tillos Group is small enough to work as a synchronized team with close control of every stage of development and manufacture, yet large enough to produce both standard and bespoke machinery, always in prompt and cost-conscious manner. Certificates /International-Standards, Conformity Certifications both from our suppliers and us are available upon request!